Reference Number: PR172105en, Press Release Issue Date: Sep 19, 201psa. Minister for Home Affairs and National Security, Michael Farrugia together with Parliamentary Secretary for EU Funds and Social Dialogue, Aaron Farrugia, announced a European Social Fund project totalling around €1 million, benefiting the Corradino Correctional Facility (CCF). The project prepares residents for employment through education and training programmes, and also trains CCF employees. Minister Farrugia said that around 120 professionals and 77 CCF residents will be undergoing training. The project aims to focus on the main needs that residents have whilst serving their sentence, facilitates social resettlement and the active inclusion of prison inmates within society and labour markets. The Minister stated that the project focuses on four main areas; education, health, restorative justice, and housing. An important element of this project is the setting up of working groups, where both local and foreign experts give their share to develop policy documents, standards and guidelines in line with the four main areas. 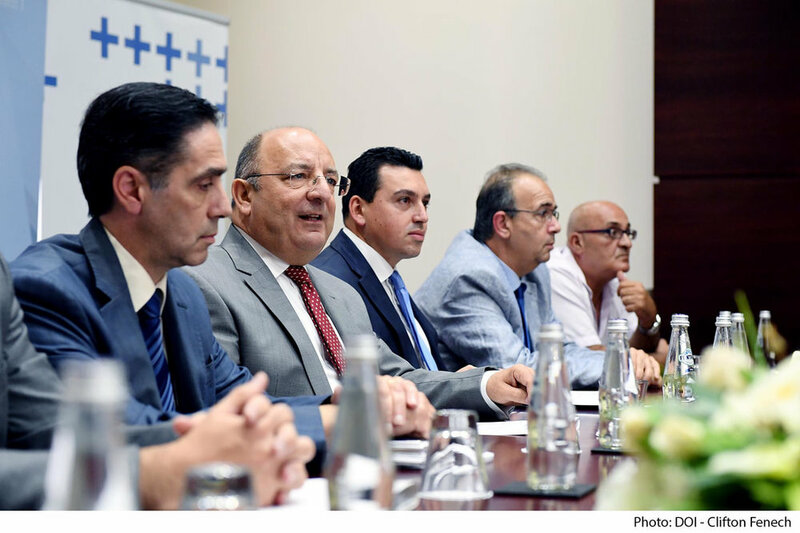 This permits key stakeholders to be directly involved in the implementation of this project, said Minister Farrugia. Parliamentary Secretary Aaron Farrugia announced that the €1 million programme is to provide training to 77 inmates. One hundred and twenty correctional officers, professional and administrative staff at CCF and beyond, will also be trained regarding the implementation of best practices which empower inmates to gain employability skills. Three weeks ago, Dr Farrugia launched the ‘Vaste Programme’ along with Minister for Education and Employment, Evarist Bartolo. This programme is worth €11million and is funded through the European Social Fund, and its aim is to help vulnerable people which include inactive ex-inmates by training them in order to help them find jobs. The University of Malta, through the Prison Education and Re-entry Programme, is a partner in this project. The Rise Foundation is also participating in this project in areas related to the welfare of the residents.